As the city ramps up enforcement of cabaret laws and permit fees, Oakland clubs worry about survival. 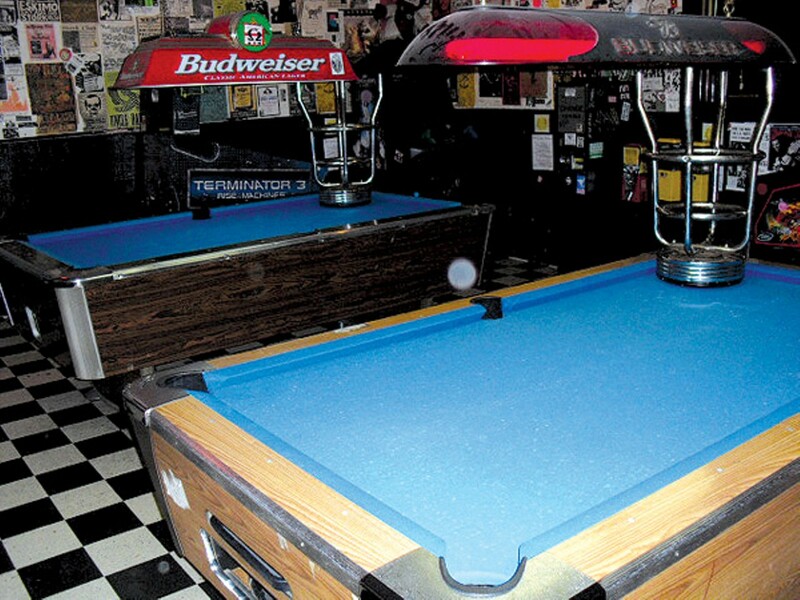 Two pool tables may be one too many for Oakland's Stork Club. In more than ten years of running The Stork Club on 24th Street and Telegraph Avenue, Tom Chittock says he's had a reasonably good rapport with the City of Oakland — no beefs, no shake-ups, no cease-and-desist orders — until last week, when he received a letter from the office of special activity permits. "It was brought to our attention that your business has more than one pool table for your patrons," the letter said, citing Chapter 5.50.010 of the Oakland Municipal Code. The law states that bars with more than one pool table qualify as "pool halls," and therefore must secure a special permit. For Chittock, that meant a one-time fee of $1,040 — about twice what his two pool tables earn annually. Even so, Chittock says that removing one pool table could put a dent in his business. "I have maybe a hundred regulars, and a lot of them come in to drink, or play pool, or smoke on the back patio." The pool tables don't generate a whole lot of money, he conceded, but they do help draw people in on nights that the Stork Club doesn't have shows. Now he has no choice but to take one out. And that's just one of the many punishments that Chittock might incur as a mom-and-pop bar owner in Oakland. Reading the letter, he was crestfallen: "They just keep hitting me with more and more penalties." In fact, the special activity permits office sent out a whole spate of letters last week. 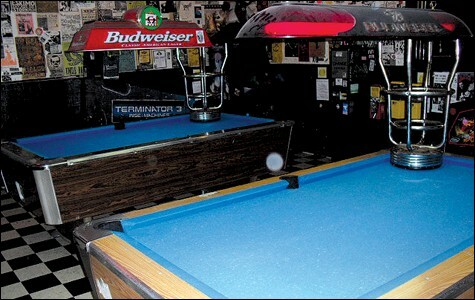 One went to bars with pool tables. Another went to bars with arcade games, which also require a thousand-dollar permit, according to Municipal Code Chapter 5.40.040. Another went to all cabarets that rent their facilities to outside hosts or promoters. Clubs that hold weekly burlesque events — such as Hubba Hubba at The Uptown, or Séduction Féroce at Era — were among those targeted. So was Maxwell's Lounge, since it leases the club out for a weekly dance party, which gets advertised on KMEL. The New Parish got shook down for putting on an event in collaboration with Oaklandish. Arturo Sanchez, who currently helms the special activity permits office in his role as assistant to the city administrator, has spent the last few weeks doing peace talks with club owners. "We're not telling them they can't have it," he said. "But they do have to abide by the conditions of their permit." Sanchez said that with the recent shooting at Historic Sweet's Ballroom — which occurred during a party sponsored by "outside" promoters — Oakland has good reason to demand more accountability from its bars and clubs. "Say, by hypothetical example, that KMEL does a Latin salsa night at Era," Sanchez said. "You have a promoter that's not a part of the company doing additional advertising. That could result in a crowd larger than you would normally have on any given night, and an audience that you don't know. Then you have a situation where the event can quickly get out of hand." Moreover, he added, under the current law, that promoter isn't liable for any damages that are wrought on the venue. He could just pack up and disappear. Sanchez insists that the special permits application, which goes through the Oakland Police Department, is really just a way of managing resources. It helps guarantee extra security and police presence, should the event require it. Ideally, Oakland would like to keep much closer tabs on its cabaret activity. Under the current law, club owners are supposed to submit monthly calendars to Sergeant Pedro Espinoza of the OPD, but few of them actually do. Sanchez is frustrated. "I believe 99 percent of our cabaret officers are good business people with good intentions," he said. "But at some point, you have to acknowledge that you can lead a horse to water — you can't force it to drink." He adds that it's much easier for a club owner to just follow the rules and pay $30 per special event than cough up a $3,500 nuisance fee. Yet if you follow the letter of the law, then just about any club night counts as a "special event" in Oakland. The Uptown's monthly "Hella Gay" dance party, which draws in several hundred people per night, is produced and advertised by outside promoters. Technically, so is comedy night at The Layover, and long-time variety show Tourettes Without Regrets at the Oakland Metro Operahouse. When you really get down to it, the list of special events could be endless. Regular parties like Club Rimshot at Bench & Bar, "The People Party" at the New Parish, or "Latin Explosion" at Club 21 would all count as special events. The Sunday night drag show "Debauchery" would be a special event at the White Horse Inn. Comedy Off-Broadway would be special Miss Pearl's Jam House, as would the weekly burlesque show featuring the Hot Pink Feathers dance troupe at Cafe Van Kleef. To have a successful club, you need to maintain a diverse calendar, and you need to reach many different audiences, said New Parish owner Namane Mohlabane. And it's virtually impossible to do all of that in-house. "The issue is not forcing a fee to be paid for every single event," Mohlabane said. "There needs to be a conversation about what events tend to be problematic, based on their history." If Oakland chooses to target every single registered cabaret in its purview, then it isn't distinguishing between the promoters at Oaklandish, and the promoters at KMEL. The big guys and the small guys get penalized the same way. City councilwoman Rebecca Kaplan said she'll try to rectify that problem by creating a special promoter registry, wherein the promoter, not the venue, would have to apply for the special events permit. "That would help venues know who's legit and who's trustworthy among promoters," Kaplan said. "And it would make promoters accountable for stuff that happened." In the meantime, Chittock from the Stork Club just received an additional letter regarding his monthly variety show First Friday Follies, which coincides with Art Murmur. The letter asked Chittock to describe the nature of the show, and explain why it shouldn't require a special-event permit. "First of all, it's on First Friday, so you already have a special event," Chittock said. "You already have the police out, so I have all the extra security that they need." He already makes no money at the door since the show is free. "Thirty dollars every time would just be more money out of my pocket." Thirty dollars per event, and one thousand dollars per arcade game or extra pool table, might produce a lot more money for the city's coffers. But strict enforcement might also cripple Oakland nightlife. Other industries could suffer as well; Chittock said that the guys who come in to maintain his pool tables and collect the money are afraid of losing their jobs. His supplier, California Amusement Group — which also sells jukeboxes, games, and prize machines — is hanging on by a thread. Owner Rick Caviglia said he expects to remove a lot of pool tables from local bars, since none of them can justify paying the hefty permit fee. Chittock thinks it's really just a way to drive the little guys out of business. "My Uncle Vern started this place sixty to eighty years ago," he said, recounting the Stork Club's history. "We were down on 12th Street for sixty years, and when we lost that lease we moved [to Telegraph Avenue]. We've been here for more than ten years." He sighed. "They're trying to push me out of business is what I'm thinking. They want all these new businesses to come in."